Staying in a luxury hotel is more than just being surrounded by elegant design, sleeping in a thousand thread count linen, or bathing in branded toiletries. High-end travelers look for personalized service and authentic hospitality, a hotel that delivers consistency and seemlessness, a hotel that recognizes their loyalty by rewarding them, a hotel where special occasions are celebrated and new memorable experiences are made. Whether you are a business traveler, a leisure traveler or a staycationer, there's a luxury hotel waiting to be called your home here in Metro Manila. We always believe that true luxury is experienced, so we assure you that we only recommend hotels which we have personally stayed in. 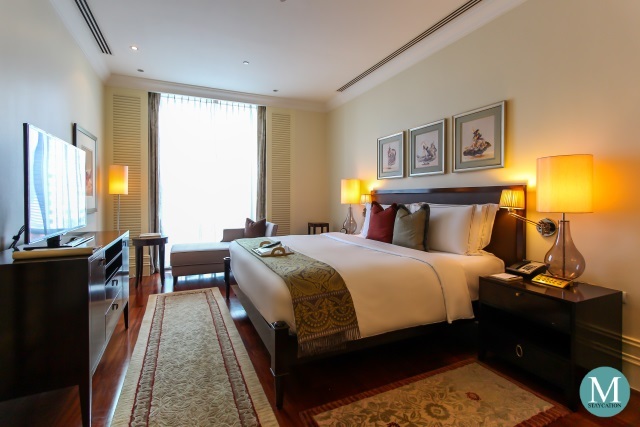 Raffles Makati features 36 elegantly designed, colonial-inspired and spacious suites. Its all-day dining Spectrum Restaurant is famous for its premium buffets, while its newly opened French restaurant, Mireio, serves Provencal-inspired dishes that are simple yet elegant. All suites are attended by Raffles butlers who are known for their most gracious and skillful service. Guests experience privacy and tranquility, while enjoying exclusive dining benefits and highly personalized service. Crown Towers Manila is one of the newest luxury hotels in Metro Manila. 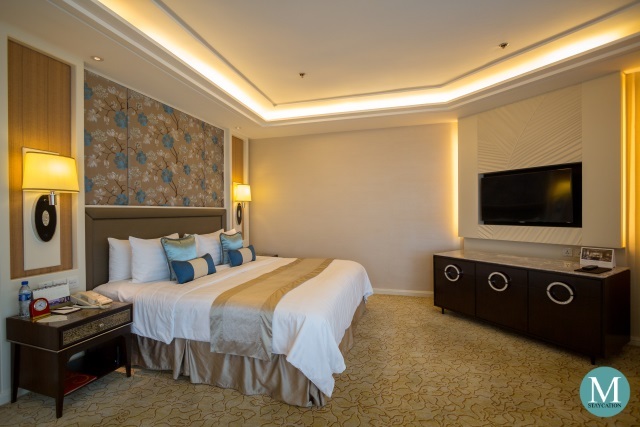 Located within the City of Dreams Manila integrated resort and casino, Crown Towers Manila features 254 lavishly designed guestrooms and suites. Crown Towers Manila is known for its discreet, attentive and personalized service. The hotel features Crystal Dragon, a well sought after premier Cantonese restaurant in the bay area. Guests staying at Crown Towers Manila enjoy exclusive access to the hotel's facilities, including the most stylish open air swimming pool in the city. 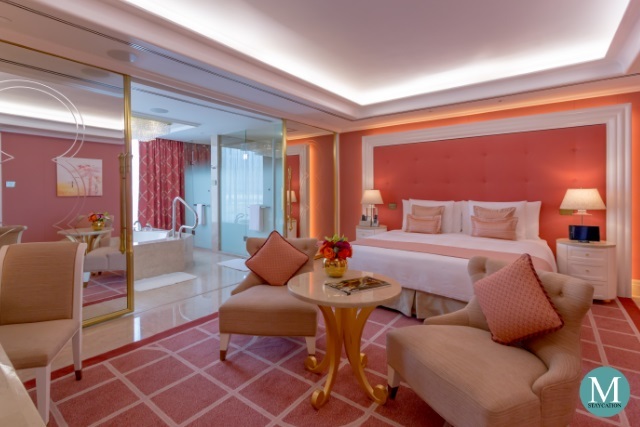 Shangri-La at the Fort, Manila is the newest Shangri-la property in the Philippines. 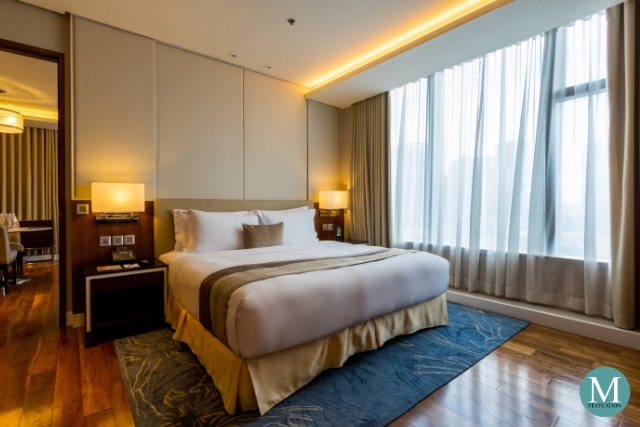 Strategically located in the Bonifacio Global City (BGC), it features some of the most spacious guestrooms starting at 45sqm with dazzling interiors and subdued Asian elegance. The hotel is known for its legendary hospitality from the heart, a level of experience which guests can expect in about 95 properties around the world. Shangri-La at the Fort, Manila has seven F&B outlets, making it a dining destination in itself. Horizon Club rooms and suites offer an added layer of luxury through personalized service and exclusive dining privileges at the Horizon Club Lounge. 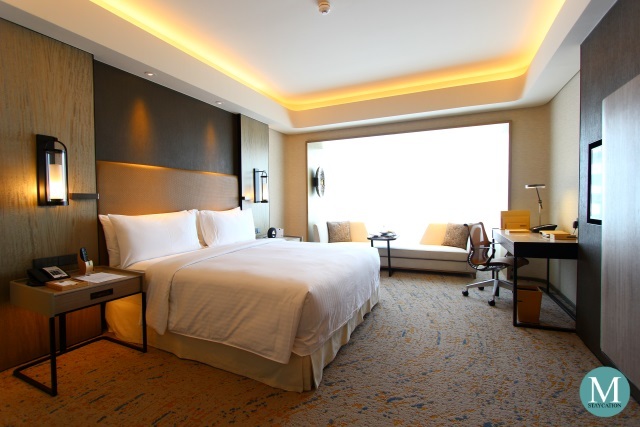 Ascott Bonifacio Global City Manila is a serviced residence managed by the Singapore-based The Ascott Ltd. It has amenities and services that can match or even exceed those of luxury hotels, with 220 luxurious and spacious studios and suites all equipped with fully furnished kitchens, marble bathrooms, and state-of-the-art home entertainment systems. Designed for long staying business executives, it also caters to leisure travelers and stacationers who seek top of the line amenities and service with the modern comforts of a home. Guests enjoy their buffet breakfast at Alta Restaurant, an Italian restaurant managed by Margarita Fores recognized as Asia's best female chef. Hyatt City of Dreams Manila is one of the newest luxury hotels in Metro Manila. 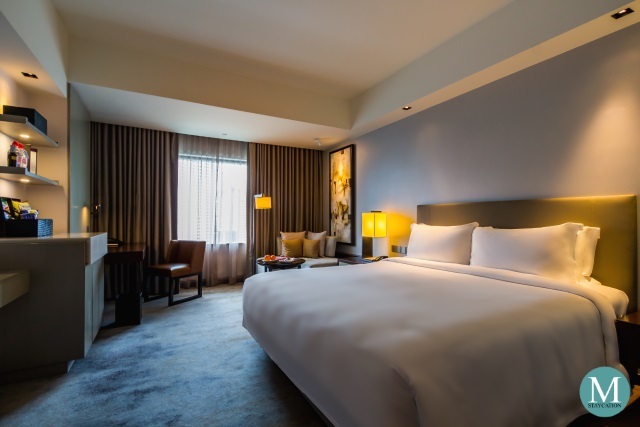 Located within the City of Dreams Manila integrated resort and casino, the hotel features 362 well appointed guestrooms which are among the most spacious in the city. The Cafe is the hotel's all-day dining restaurant serving buffet breakfast, lunch and dinner. The hotel also has one of the best club lounges in Metro Manila favored particularly for its design, food and drinks selection and excellent service. 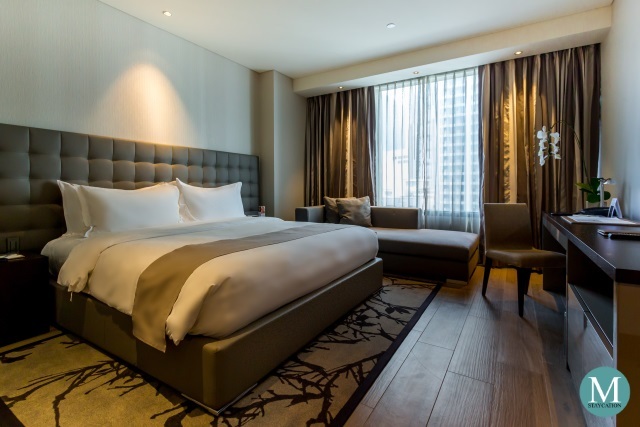 Conrad Manila is one of the newest luxury hotels in Metro Manila. The hotel is most known for its iconic architecture which won the property numerous awards. Located within the SM Mall of Asia complex, the hotel features 347 guestrooms and suites with stunning views of the Manila Bay sunset. Favorite among its guests is the hotels open air swimming pool which resembles an open deck swimming pool of a cruise ship. Edsa Shangri-La Manila is the most luxurious hotel in the Ortigas Central Business District. It features 631 spacious and elegantly designed guestrooms and suites. It is a favorite among business travelers in Ortigas Center. The hotel is also the favorite venue for family gatherings and celebrations such as birthdays and weddings. It is the premier venue for Chinese wedding engagement ceremonies as well. Its free-form swimming pool gives the property a city resort feel which makes it a favorite for family staycations. 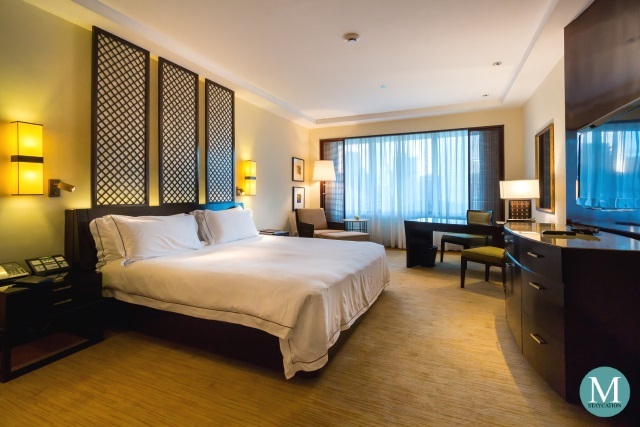 New World Makati Hotel is a luxury business hotel in the heart of the Makati Central Business District. 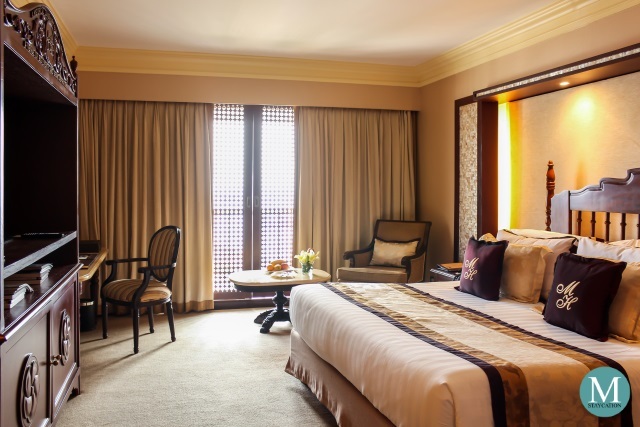 It features 580 spacious and luxurious guestrooms and suites in modern oriental design. One of the highlights of the hotel is the Residence Club Room where guests enjoy exclusive dining benefits and personalized service, on top of the spectacular city views one can enjoy from here. The hotel is also known for its award-winning restaurants such as Cafe 1228, the all-day buffet dining restaurant, and Jasmine, its premier Cantonese restaurant. 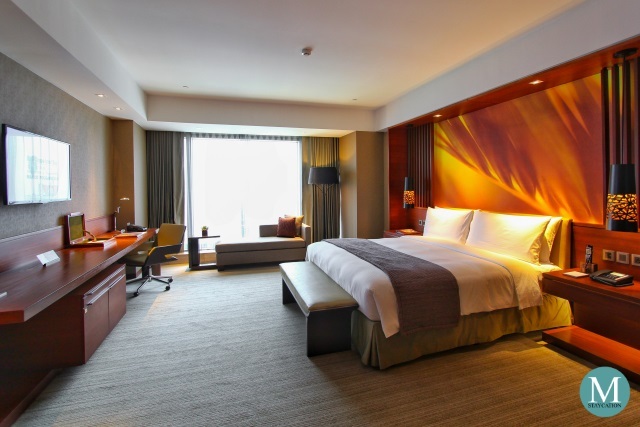 Marco Polo Ortigas Manila is newest luxury hotel in the Ortigas central business district. Currently the tallest and the most modern hotel structure in Metro Manila, it features 316 spacious and modern guest rooms and suites. Guests staying in Continental Club rooms and suites enjoy exclusive access to the Continental Club Lounge located on the 43rd floor offering commanding views of the whole city. Marco Polo Ortigas Manila is home to some of the award winning restaurants such as Cucina and Lung Hin. Makati Diamond Residences is the newest serviced residence in the Makati Central Business District featuring 410 elegantly designed and spacious studios and suites outfitted with top of the line contemporary Italian home furniture and furnishing brands. The property combines the comfort of a full-scale serviced apartment, the efficiency of a business hotel and the glamour of a luxury hotel. Guests staying in a 70 sqm One Bedroom Suite or higher room category enjoy the exclusivity and privacy of the Club Lounge. Located on the 27th floor, the Club Lounge is one of the most beautifully designed club lounges in Metro Manila. Ascott Makati is a luxury serviced residence location within Ayala Center, the bustling retail district of Makati Central Business District. It has a total of 362 modern and luxurious serviced residences which are designed for international business executives and leisure travelers who require the comfort of luxury home living. 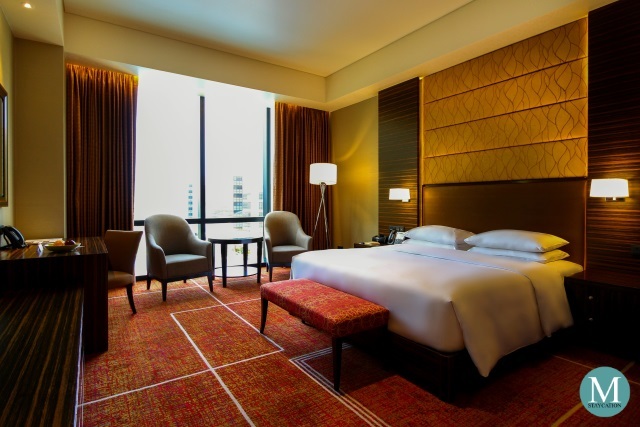 On weekends, Ascott Makati is a favorite among families for staycations. 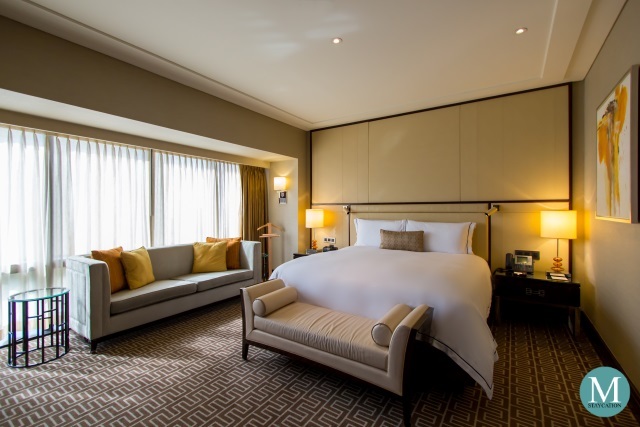 Ascott Makati recently unveiled its newly renovated suites in elegant modern design coupled with state-of-the-art kitchen amenities and home entertainment systems. Ascott Makati also houses the famed Myron's restaurant known for its awesome steaks. Makati Shangri-La Manila is a luxury hotel in the Makati Central Business District located right at the corner of Ayala and Makati Avenues. It most known for its grandiose lobby which has hosted some of the most lavish social gatherings in the city. The hotel is also the place to see and be seen by Manila's high society. 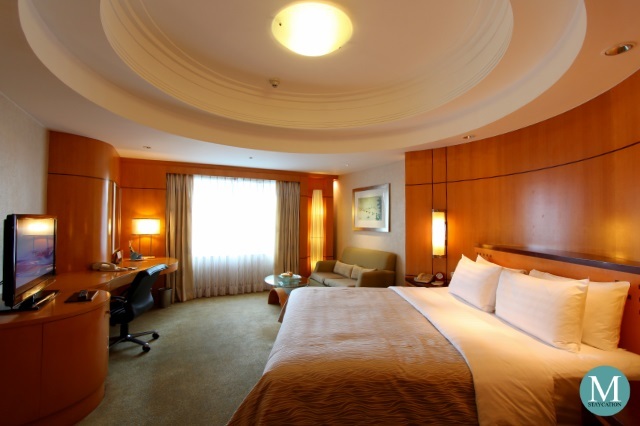 The hotel features 696 elegant guest rooms and suites which primarily caters to business travelers. They recently completed the renovation of their open air swimming pool while guestrooms and suite are schedule for rejuvenation by end of this year. The hotel is also a go to place for upscale Cantonese and Japanese dining. Okada Manila is the newest and the largest integrated resort and casino in the Philippines. Located in the Entertainment City Complex, Okada Manila consists of a 993-room luxury hotel, a casino, a retail and dining strip, and an in-door beach club which is the biggest of its kind in the Southeast Asia. 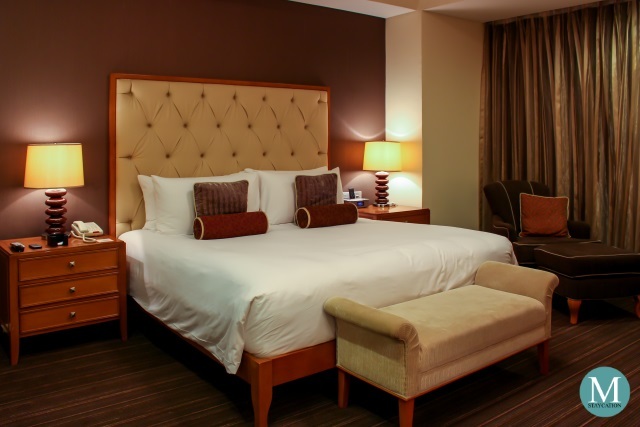 The hotel also has some of the most spacious guestrooms and suites. Whether you're staying in the hotel, dining in one of its restaurants, or simply visiting the property, you can expect world-class customer service that is consistently genuine. Other facilities will soon be completed and I am sure that Okada will further rise to greatness. 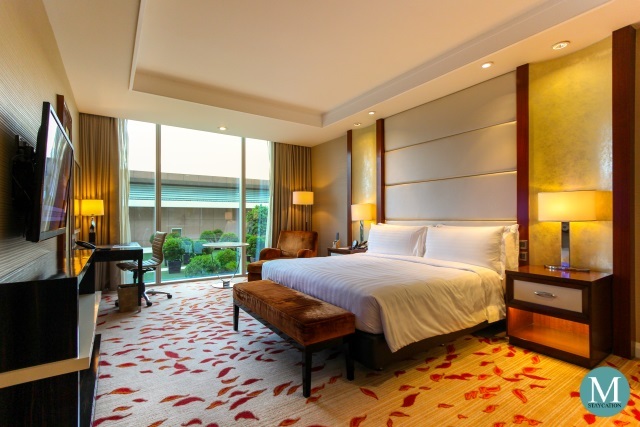 Solaire Resort & Casino boasts of 800 luxurious resort-style guestrooms and suites. While the hotel has some of the most elegant and spacious suites, it doesn't execute in service, not in a consistent manner at least. Solaire is more of a casino with a hotel and high end restaurants. On the other hand, they are doing an excellent job in the casino aspect of the property. The Manila Hotel, the Grande Dame of Manila, is luxury hotel which first opened in 1912 along the picturesque Manila Bay. The hotel has a colonial Philippines design with influences from Spanish and American design. It has 500 guestrooms and suites in opulent Filipino design with modern touches and state-of-the-art amenities. The hotel is know for its warm Filipino hospitality and excellent customer service. It is located near museums, parks and historical landmarks. Cafe Ilang-Ilang is the hotels all-day restaurant famous for its upscale buffets. 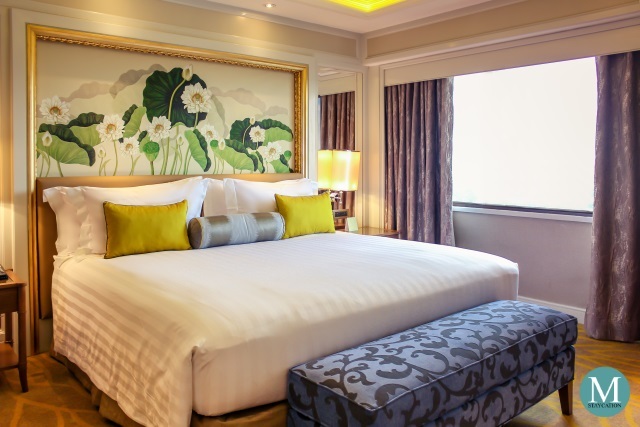 Dusit Thani Manila is a luxury hotel with 537 guest rooms and suites in elegant Thai inspired design. 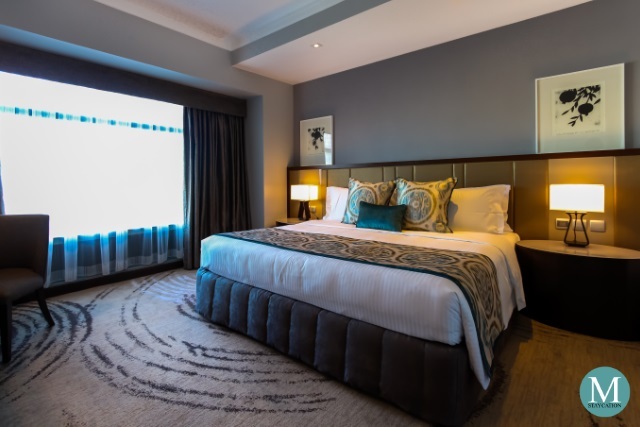 The hotel unveiled their newly renovated rooms and suites a few years back which attract new guests with a penchant for modern luxury interiors. The newly renovated Dusit Club Lounge is also a plus for the hotel, especially for the attentive and personalized service delivered to guests. The Pantry, the hotel's all-day dining restaurant, is also a new addition to the hotel's dining options. The Peninsula Manila is a pioneering luxury hotel in Makati which has hosted thousands of business travelers and hundreds of social events over the last 40 years. Up to present, The Peninsula Manila remains to be the darling of the Philippine high society with its sophisticated afternoon teas at its famed lobby. The hotel features 469 guestrooms and suites in understated Filipino elegance. The Club Lounge however is quite small for the size of the hotel with its staff stretched to their limits. Escolta, the hotel's all day dining restaurant, serves one of the best breakfast buffet in the city. 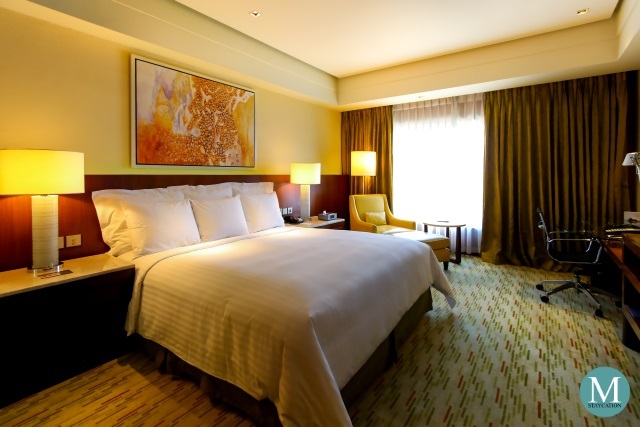 Pan Pacific Manila is luxury hotel in Manila which features 236 guest rooms and suites. All guests staying at the hotel enjoy 24 hours butler service, and solid strength in customer service which give the hotel the title Butler Hotel. The Pacific Lounge is the venue for its breakfast buffet where diners enjoy panoramic view of Manila Bay. Pan Pacific Manila is popular among Asian business travelers and we think that it is one of the most underrated hotels in the metro. Oakwood Premier Manila is luxury serviced residence with 230 fully furnished, move-in ready studios and suites. The property is a favorite among expatriates on assignment at the Asian Development Bank, located right across the property. The Nostalgia Dining Lounge, its all-day dining restaurant serves buffet and bespoke French cuisine. Oakwood Premier Manila is also ideal for weekend family staycations. Have you tried any of the hotels listed above? How was your experience? If you think a hotel should be included in this list, please do send us an email at pinasmuna@gmail.com. This list will be regularly updated with new hotels and rankings so make sure you bookmark this link.